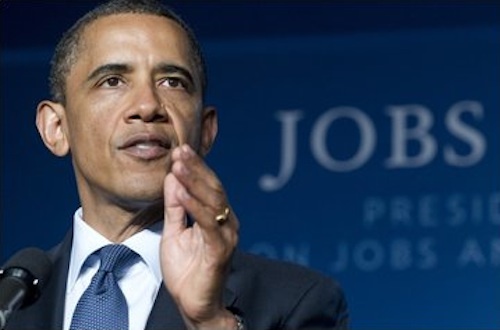 Later this week, President Barack Obama will announce his jobs plan. In February, the President resisted cuts to biomedical research funding, seeking an increase in funding for biomedical research at the National Institutes of Health (NIH) and in basic science at other agencies, while making cuts and freezes in many other areas of government as part of the 2012 budget. Smart, targeted investments in health and medical research will create the high quality jobs that the economy needs while bringing us closer to improved treatments and cures. Indeed, the biotechnology industry has been a major driver of the U.S. economy for the past three decades . Take a moment to send the President a message and urge him to make medical research a component of his jobs proposal. We often write about the stagnation in U.S. biomedical research funding and the fiscal pressures these programs face in the current funding environment. Since 2008, then candidate Barack Obama looked to renew the U.S. government’s commitment to investment in biomedical research. In 2010, the American Recovery and Reinvestment Act (ARRA) invested in the future of America’s health and revitalized the biomedical research community. Here at Highlight HEALTH, we support the president’s mission to prioritize science and health in 2011 and beyond.